The Ibarretxe Plan: Grave menace to the Economy of the Basque Country? The Spanish constitution of 1978 established the political framework necessary to create a new state model in Spain: the Autonomous Communities. As a consequence, Spain went from being a centralized state to one that is organized into autonomous regions, each one with its own regional Assembly, Government and President, but with less political power­ than a federal government. One of these autonomous communities is the Basque Country which has been governed since 1979 under the Statute of Autonomy of Guernica. 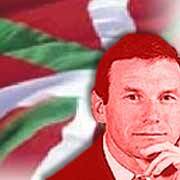 Last October 25, Basque president Juan José Ibarretxe, who belongs to the nationalist party PNV, presented a legislative proposal to the regional assembly known as the “Ibarretxe Plan.” The plan aims to break with the Statute of Autonomy and consequently with the Spanish constitution as a way to gain more independence and become a free state. Aside from the tremendous amount of criticism that this plan has generated within Spanish political and social circles, there is great concern that it could severely hurt the Basque economy. This is the conclusion reached by a team of professors from the Complutense University of Madrid headed by Mikel Buesa and composed of Joost Heijs, Thomas Baumert and Mónica Martínez Pillitero. Their results are published in a research study entitled The Companies of the Basque Country in the Face of Secession. The study is based on an opinion poll conducted among mid-size and large companies of the region and intended to evaluate the impact of the Ibarretxe Plan on the economy of the Basque Country. The results of the study show that one-fourth of the companies in the region could abandon the Basque Country, as a consequence of the Ibarretxe Plan, which would mean approximately a 10% decline in the GDP of the Basque Country and a sharp increase in unemployment, perhaps by 10%. One of the main companies that is considering relocating its headquarters away from the Basque Country is Banco Bilbao Vizcaya Argentaria (BBVA), one of the two most important financial institutions in Spain, which is present in 13 Latin American countries. In Mexico, for example, BBVA Bancomer Group had profits of almost 60 million euros in 2001. The Basque President was recently in Mexico, presenting his plan to hundreds of listeners who gathered in the Basque Center of the Mexican capital city. Today, there are a great number of Basque immigrants as well as Latin Americans of Basque descent who maintain strong ties with their roots. In fact, these roots have attracted many terrorists of the Basque separatist group ETA to Latin America in order to escape from Spain. In the last few years, Spain has tightened its diplomatic relations with these countries to reach agreements that facilitate the arrest and extradition of the terrorists. The Ibarretxe Plan took no one by surprise in Spain. It consists of a project that, according to the Complutense study, has its origins in the agreement signed in August 1998 between the Basque nationalist parties – the Basque Nationalist Party (PNV) and Eusko Alkartasuna (EA) – and ETA, the terrorist group. The objective of this agreement, according to its text, was to create a sovereign institution that would override the current legal status established in Guernica. This agreement includes the Basque regions of Alava, Vizcaya, Guipúzcoa, as well as Navarra and the Basque regions in France. In September 1998 all of the above nationalist parties, as well as some other groups, signed the Declaration of Lizarra, with the goal of carrying out a popular referendum on the future of the Basque Country. Nevertheless, because of insufficient electoral support, the plan didn’t attract much attention until after 2001. In September 2002, President Ibarretxe announced the preparation of his plan to the Basque parliament; however the actual contents of this plan had not been made public until July 2003, after being leaked to the press. At the moment of the announcement the Complutense team began its investigation and the results were presented in October , before the Ibarretxe Plan was to be delivered to the Basque parliament. It should be pointed out that there is a certain terminological ambiguity concerning the nature of the Ibarretxe Plan. While almost all of Spanish public opinion considers it a secession plan structured in 69 articles, the Basque executive branch has defined it as a proposal, or as a plan that does not break with Spain or the European Union. The research project starts from the hypothesis that this is a secession plan whose “purpose is to satisfy the aspirations of the nationalist minority that exists in the Basque Country, separating it from Spain through means of a secession process,” according to the report. n Commercial operations between the Basque Country and Spain, as well as with the European Union, would be subject to customs and border procedures involving significant additional fiscal and transaction charges. n The Basque Country would be excluded from the euro area and the region would have to adopt a new currency as well as take on additional costs for foreign-exchange operations, with the consequent risk inherent in fluctuations in the rate of exchange of its currency relative to the euro. n There would be a serious possibility of adverse reactions on the part of consumers, above all Spanish consumers, with respect to products of Basque origin. n The deterioration in the climate of business confidence would result in a reduction in expectations and in a downward revision in investment plans. Specifically, 55% of those business people surveyed considered that, in the short term, the plan will have a negative impact. Meanwhile, only 10% of those surveyed considered it positive. In the long term, opinions were polarized, and the percentage of those who believed it would have a negative impact widened to 57% compared with 22% who thought it would be positive. Companies that had a negative view were those with national sources of capital, and multinational firms that had more than 100 workers and markets that extend throughout Spain. Those companies that evaluated the Plan more positively were more likely to have family sources of capital, have fewer than 100 employees, and be oriented toward a local market. It should be noted that there are strong ties between the Basque economy and Spain’s national market, as well as, to a lesser degree, the European market. According to the [Complutense] study, the main markets for Basque companies are the nationwide (Spanish) market as well as foreign markets; together, they represent a combined 80.3% [of sales]. Meanwhile, sales within the Basque region represent only 19.7% of the total. As a result, the independence of the Basque Country could mean significant losses for Basque companies. The study came up with a revealing piece of data. In the event that the political situation deteriorates, one quarter of the companies plan to abandon the Basque Country and move somewhere else. Twenty-three percent of the companies contemplate moving their corporate headquarters to other regions of Spain. Those companies that are more likely to contemplate the two possibilities are either capitalized nationally or are subsidiaries of multinationals with sales oriented toward the national (Spanish) market. “In other words, those are the companies that have the greatest competitive importance for the Basque economy,” the report says. “In agreement with the results of the study, the departure of a quarter of the companies [from the Basque Country] would be equivalent to a 10% decline in the GDP of the Basque Country. This would also have an indirect effect on suppliers, contractors, and so forth. The unemployment rate would go from approximately nine percent, at the moment, to a minimum of 19% – and a maximum of 29%,” asserts Buesa. At “Círculo de empresarios vascos”, this data is viewed with caution. “The Basque business world is very much tied to its territory, despite problems with terrorism.” Nevertheless, the report adds, “Uncertainty could present a problem for competitiveness, and you mustn’t forget that companies are pragmatic.” The longer the period of uncertainty, the worse it will be for the economy. “If this plan generates rancor, it is something bad. If this struggle lasts, say, for two years, it will create enormous political and economic uncertainty, and then there could be some relocation in decision-making centers, out from the Basque Country,” adds the group of Basque business leaders. According to Buesa, “Many companies have already gone.” Banco Bilbao Vizcaya Argentaria (BBVA) and Iberdrola, two of the largest companies in the Basque Country, have suggested the possibility of changing their head offices in case a major break with current law takes place. According to Buesa, “from the point of view of the Basque economy, BBVA and Iberdrola are only a bit relevant.” Nevertheless, the departure of these two big firms could have an important symbolic effect. Above all, it could have a major impact on revenue collection of the regional commission of Vizcaya, where those companies have their corporate headquarters and where they pay their taxes. Confronting such a situation, it would appear logical that business leaders of the region would already be preparing themselves for the eventual start of the Ibarretxe Plan. As noted in the Complutense study, 42.3% of all companies have made an analysis of the consequences of the Ibarretxe plan, although in most cases those studies have been done in an informal way. Few companies have formulated a contingency plan. Future of the Ibarretxe Plan? The government of Spain has already announced that it is preparing a legal battle against the Ibarretxe Plan. What is certain is, from now until Spain’s general elections take place in March 2004, political debate is going to focus on the controversial plan. As this article is published, news of the first legal measures taken of the government [against the Ibarretxe Plan] is appearing in the Spanish media.